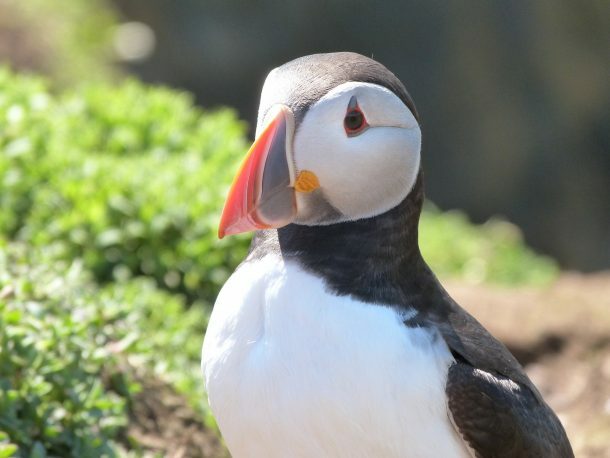 Once you’re at the top, you will be met by the Warden who will give you a chat about the island, tell you the most recent sightings and instruct you on how to walk safely through the puffin burrows. My preference for walking around Skomer is to walk anti-clockwise around the island. This way, as you turn each corner you get to see more and more puffins. If you go clockwise, then you have quite a walk before you see any puffins, and it’s the puffins we’re all here to see!